The upcoming British and Irish Lions tour of Australia is set to be one of the rugby events of the decade. Better news for those going to watch is that with the pound strengthening against the Aussie dollar, their money is going to go a lot further Down Under. Australia is a costly destination these days. 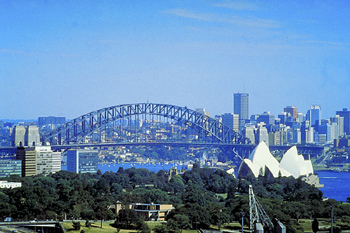 A study by Deutsche Bank found that Sydney is the world’s most expensive destination for a city break. However, over the past few months, the pound has been climbing steadily against the strong Australian dollar. Over the last few months, it has risen so much that £250 will now by you an extra $31.25. It transpires that sales of the Aussie dollar in the UK are also up by 38 per cent, which means it is likely that there are many people planning to follow the Lions out there for the tour. According to a spokesman for Lions rugby, the confirmed numbers are roughly as expected but there are many others waiting to book last minute to take advantage of the beneficial financial conditions. This is a place where travellers can get considerably more for their money than this time last year. Although the pound has also strengthened against a number of other currencies - notably the Japanese Yen. Australia has been booming off the back of mining surge which has forced prices up dramatically over recent years. This has made it a costly place for British travellers but perhaps this signals a new direction. This is great news for those waiting to fly out last minute to support the Lions on their tour. With great deals on travel insurance, a stronger currency and a stunning test series of rugby to look forward to, this looks set to be a very good summer for those lucky enough to be heading out there to watch.